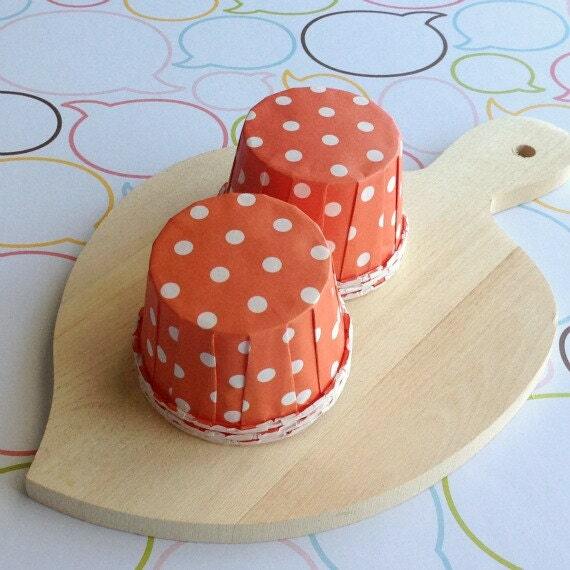 These cute polka dot bright orange baking cups are grease proof and sturdy. They are easy to use, no muffin pan is needed. Just pour batter into cups and pop them into the oven. 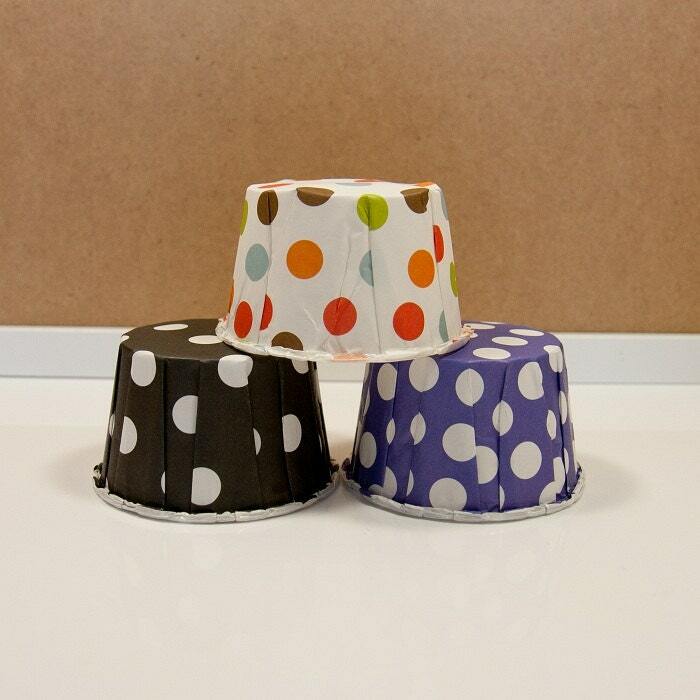 They are also perfect for serving as nuts cup, candy cup or packaging. 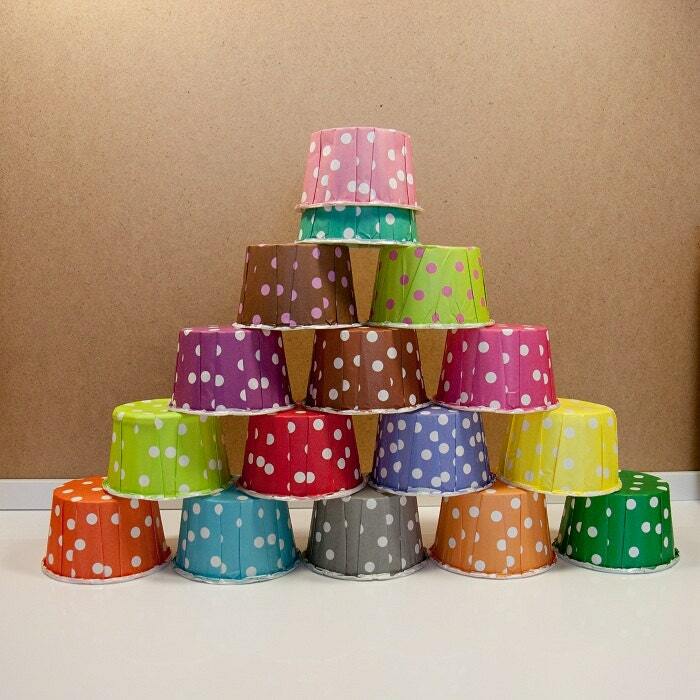 You will get 25 cups.